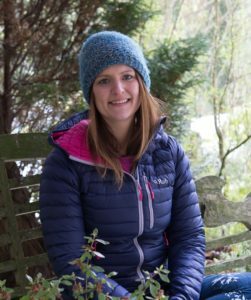 I am Jenny Oakenfull, a qualified nutritional therapist, Dru Yoga Teacher and former international sportswoman with a positive and healthy outlook on life. I have always lived an active and healthy lifestyle. Having been forced to stop competing due to injury, I found myself living the same kind of busy, stressful, everyday life as everyone else, and trying to fit a healthy nutritious diet around a busy lifestyle. When my health began to suffer and I was diagnosed with ME in 2006, I used food to help me to improve my health and energy levels. I realised how much I had to offer others and decided to train as a Nutritional Therapist. Keen to continue to do some form of physical activity I started attending a weekly yoga class. I quickly discovered the fantastic benefits of yoga in improving energy levels and helping to manage my stress levels and went on to qualify as a Dru Yoga Teacher. I am now passionate about working with people, to help them build their confidence and change their relationship with food and exercise. I set up Active-Eat to help people to look at their food intake and lifestyles, to help them enhance their lives by fitting healthy nutritious eating and exercise around their everyday life. By looking at what you eat, when you eat and how you eat we will explore healthy alternatives to increase energy, improve your health and help you to lose any excess weight. I became a vegetarian at the age of 11 and followed this strictly until I was 22. I the introduced chicken to my diet. Since 2008 I have been lactose intolerant and as a result introduced fish to my diet. I eat a pretty much vegan diet except for occasionally having chicken, fish and eggs. So I have no idea what that makes me although my friend affectionately refers to me as a ‘flexitarian’ which always makes me giggle. This has made me passionate about helping people to eat healthy including the foods they like and not worrying about labelling people. I have a wide range of knowledge about vegetarian foods and recipes and how to adapt cooking, baking and eating out to a dairy-free diet. My clients range from those with low energy to high energy, all with a need to improve their quality of life. I am passionate about helping people to see that by making small changes to their diet and lifestyle, a huge impact is released to them. MY SERVICES: Based in Yorkshire, UK I offer Skype based consultations to suit my global clients & their lifestyles. Working 1-2-1, I ensure you achieve your health goals through healthy nutritional advice tailored to your needs. I also offer weekly yoga classes and my bestselling retreats.